Our Auto Center is your one-stop shop for all your car buying needs. Shop preferred dealers, calculate loan payments, save your favorite cars and more. Plus, you'll get a great rate and flexible terms for both new and used vehicles. Unlike "special" financing from many auto manufacturers, you aren't limited to certain models and there are no hidden charges or fees. *The website you have selected in the "Find Your Car" search feature is an external one located on another server. OUR Credit Union has no responsibility for any external website. It neither endorses the information, content, presentation or accuracy nor makes any warranty, express or implied regarding any external site. Give yourself peace of mind! Coverage options are affordable and can be financed along with your new or refinanced auto loan. We offer the extended service contract you'll need to cover any unexpected vehicle repairs. There are many options to choose from. Learn more here. We offer the protection you would need to pay the difference between your loan payoff and your insurance claim settlement in the event of a total loss. Learn more here. 1. Annual Percentage Rate. Rates are 'as low as' and are based on credit history. Advertised rate is good for 2013 and newer models. Terms up to 36 months. 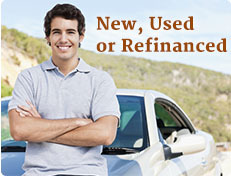 Refinancing is not available on existing OUR Credit Union loans. Rates are subject to change at any time without prior notice.